Welcome to This Is Not A Review. In these articles we discuss general impressions, ideas and thoughts on any given game, but as the title implies, it’s not a review. 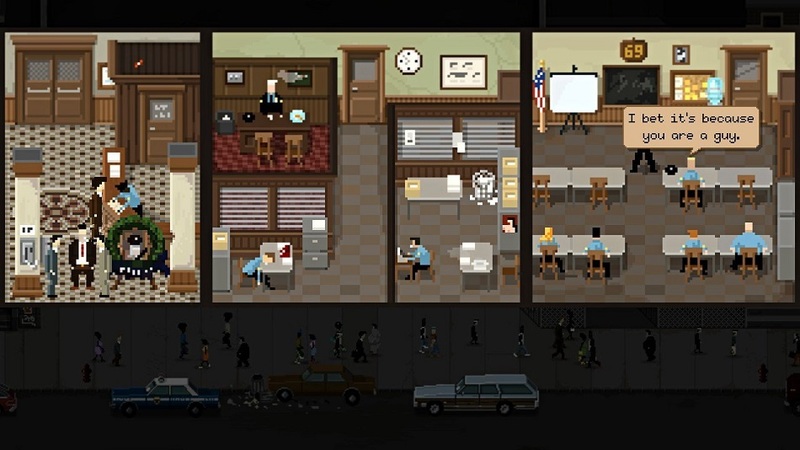 Instead, it’s an exercise in offering a quick recommendation (or dismissal) after spending enough time to grasp the ideas and gameplay of a thing without necessarily playing it from A to Z. 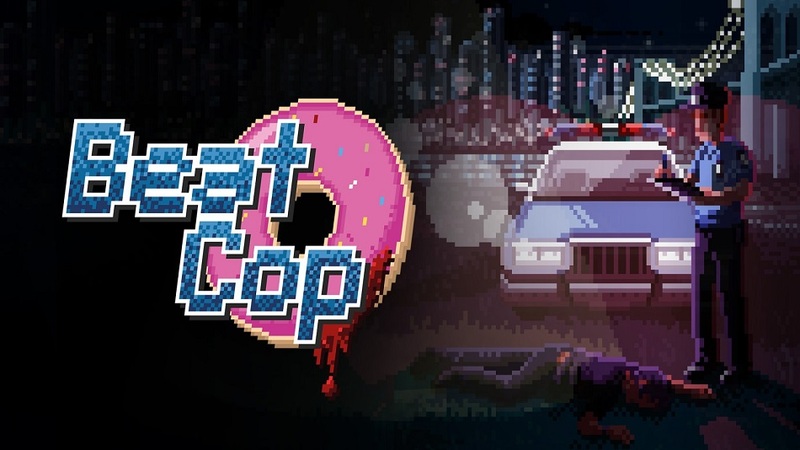 The subject of this installment: Beat Cop, developed by Pixel Crow and published by 11 Bit Studios. 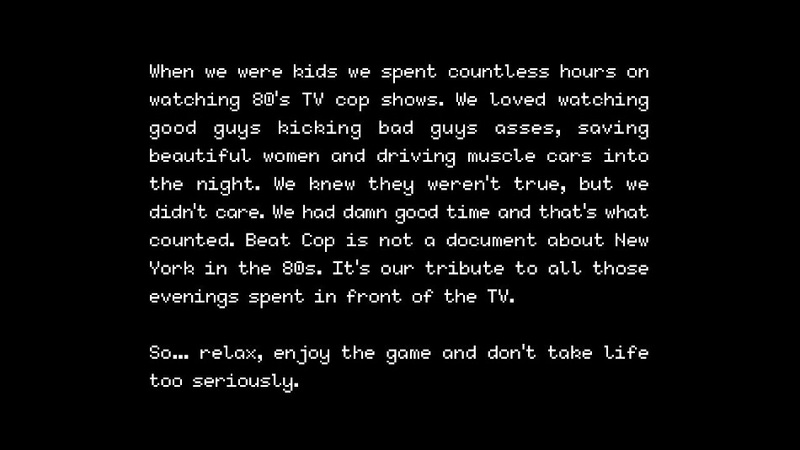 When GameCritics got the offer to review Beat Cop, I was happy to accept. I’ve got nothing but love for my Switch right now, and this 2D, pixel-based title seemed like a good fit. Taking on the role of a tiny police officer patrolling a small route made sense as a bite-sized experience on-the-go, so I jumped into it without any knowledge other than that. That openness didn’t last long, though — there were red flags from the start. 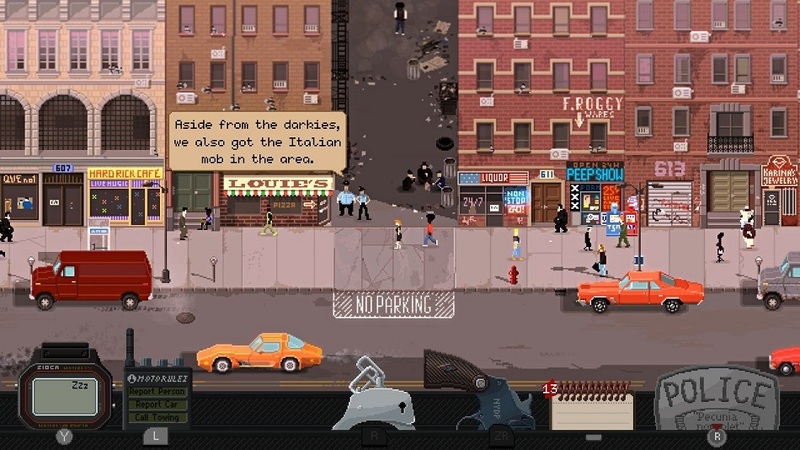 The game begins with a disclaimer, seen below. My spider sense started tingling, since telling people to “not take things too seriously” is usually what someone says after they’ve told an inappropriate joke and discovered that it didn’t go over well. My fears were validated almost immediately — after hitting the street with my officer, I was gobsmacked to see how much offensive racial content was on display. Within a minute of play, an NPC walked past and used a racial slur against Asians. Soon after, my fellow officer did the same against African-Americans, and the assault against them kept on rolling. There were also several obvious visual displays of racism as well. 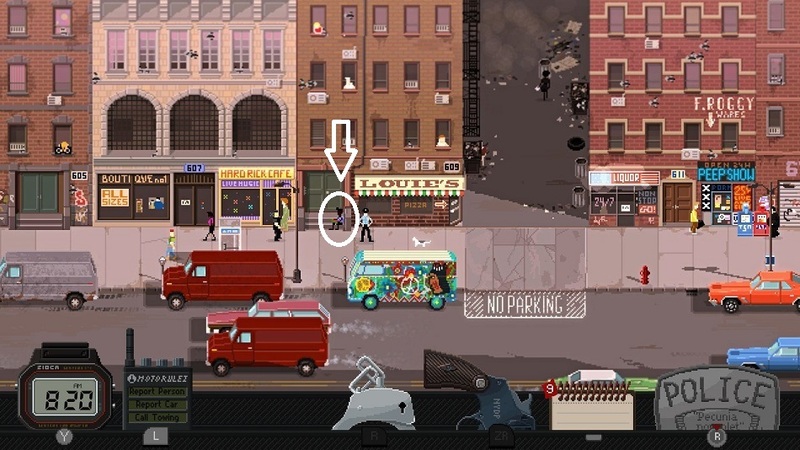 In addition to the black background character eating watermelon below, the first criminal the game wanted me to arrest was black. The second one was also black. The third criminal? You guessed it, black again. 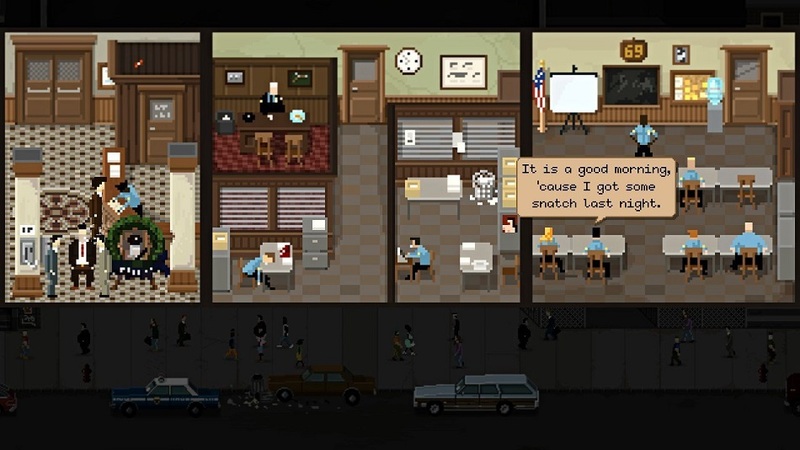 …to the way they ridicule a fellow female officer who doesn’t fit whatever standard of beauty the devs are applying. 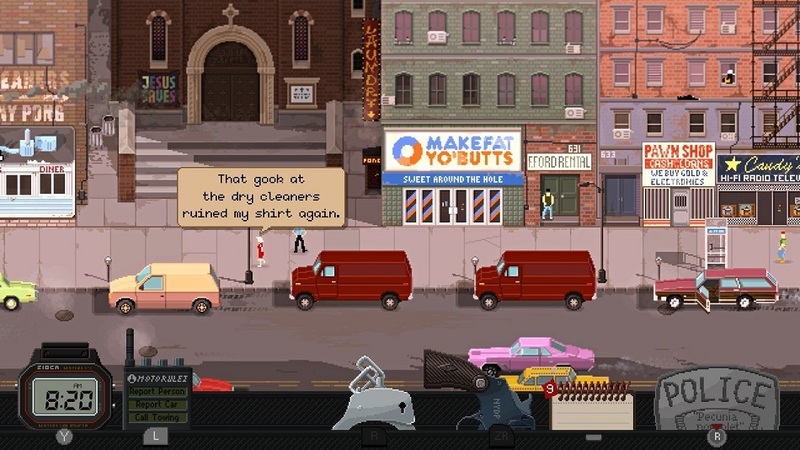 The premise of being a cop on patrol is fine and creating an homage to television the ’80s could be great, but both of those things can be done without the unacceptable, inappropriate content that’s front and center in Beat Cop. If the game was critiquing something or offering commentary, then perhaps a case could be made, but there’s no such attempt here, it’s just indulging in the content. I’ve got zero tolerance for racism and sexism, and it has no place in modern game creation. Developer Pixel Crow should be ashamed for creating this stuff, and publisher 11 Bit Studios should be embarrassed for supporting it. A formal apology and some patches cleaning these things up would be the absolute least they could do. And frankly, I’m surprised that Nintendo even released it on the Switch — they’ve got a long history of vetting their content for families, and I have no idea how this slipped through. 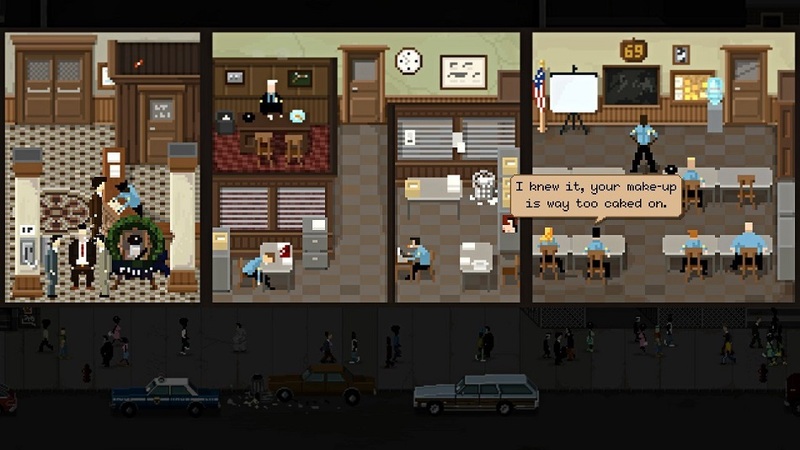 This is hugely disappointing given that 11bit studios made the thought-provoking game ‘This war of mine’ – I am still curious about the game as a whole, but that has given me some reservations. So racism and sexism is a big no-no, but violence in videogames is ok? Snap Ster – I am curious, what are your favourite games?